I had another decent day on the tip on Saturday. Very windy up there, but fortunately no rain. There was a decent influx of Great Black-backed Gulls, and among them, I managed a record (for me at least) of nine Norwegian and Danish black rings. 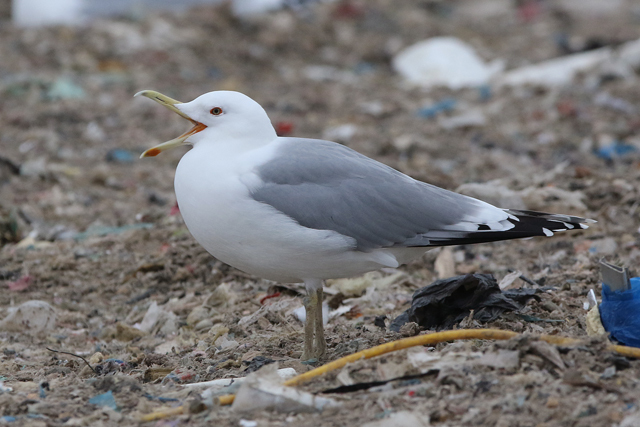 Of course, it wouldn't be a visit up there without 'big white', the Norwegian-ringed freak. 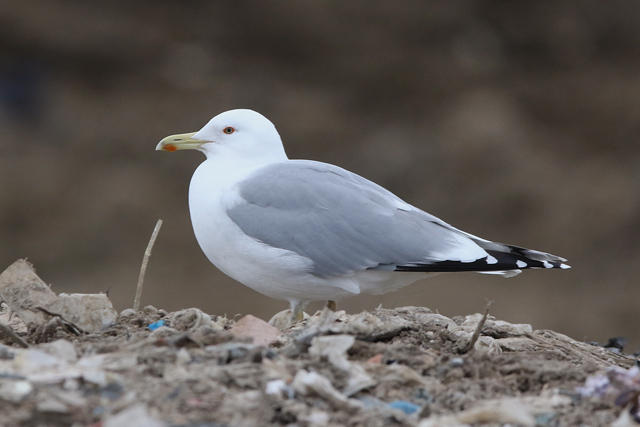 leucistic 3rd-winter Great Black-backed Gull, Essex 6th February 2016 - regular bird with no introduction needed! 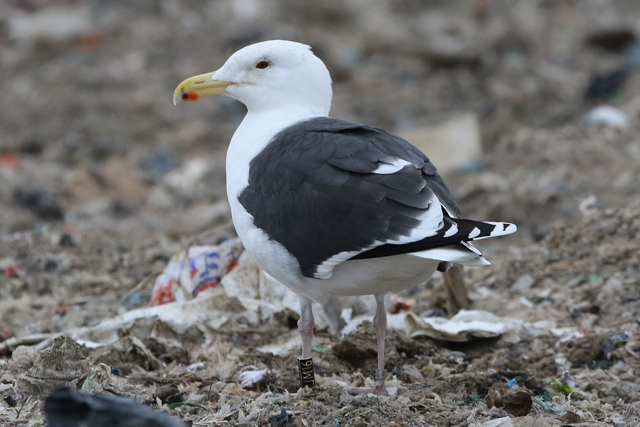 Great Black-backed Gull JM16, Essex 6th February 2016 - nearly 10 years old having been ringed as a chick at Agneskjær, Lindesnes, Vest-Agder, Norway on 29th June 2006. 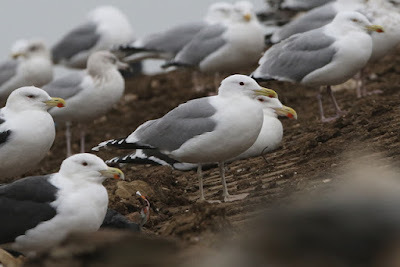 Since then it has been seen at Minsmere (in 2007), back in Norway and then most recently I saw it on the tip on 25th January 2014. 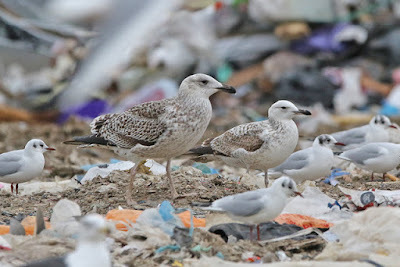 Caspian Gulls were nicely represented with four in all; two adults (a beefy, thick set bird and a regularly returning pale-eyed bird seen in previous winters), a brief near adult (that I didn't get much in the way of photos) and a smart first-winter (different to last weekend). 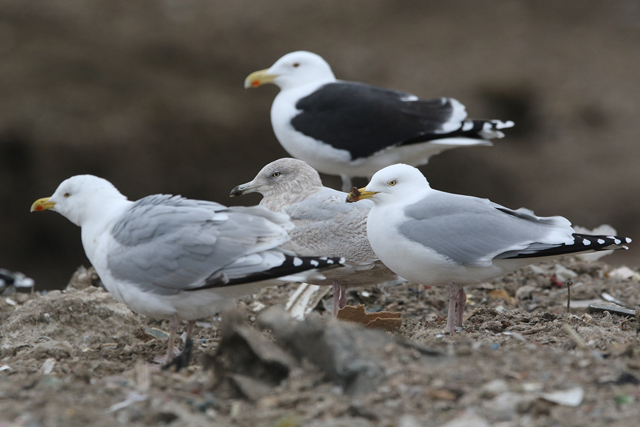 Like most of the Casps, the intriguing white-winged gull was present just briefly. 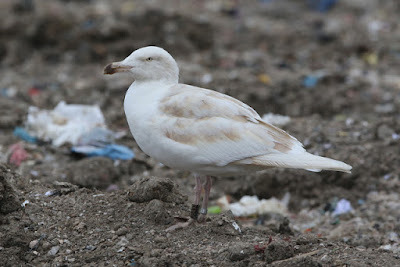 I sought opinion on this bird on the internet after last weekend's sightings and a range of replies came back, notably from Hans Larsson who seems relatively happy with it as an Iceland Gull. 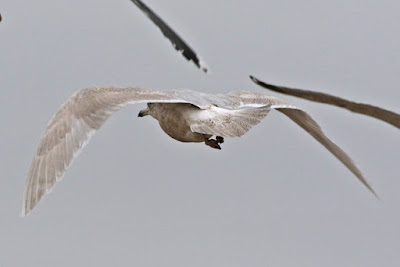 Mildly surprised with that, but what do I know. Perhaps its bizarre look last year and retarded appearance this year too has blurred my vision, but there's something unusual about this bird that's still unsettling. Anyway, as well as the above, I managed 27 rings in total - Norway, Denmark, Scotland and Aberdeenshire being the origins as well as a load of birds having been ringed on the tip previously by the NTGG. So that's the final tip visit until much later this month, as hopefully this time next week I'll be getting a bit of much needed sun.